Situated far away from the capital’s pandemonium, offering a calm respite from the snarling traffic lays one of the most spacious wedding farmhouses in North Delhi, the Asha Farm. There’s something magical in the air at this farmhouse that offers an exquisite backdrop for a fairy-tale wedding. Maybe it’s the venue’s rich history or the serene and tranquil atmosphere that it provides. Or it might be the unique blend of magnificent interiors and world-class service which strike the perfect balance between lavish and homely. The farm is the ideal place for to-be-wed couples to sit back, relax, and enjoy the wedding day they’ve always dreamed. For your guests, it offers a cozy environment where you and your guests can have great conversations, enjoy top quality food and create long-lasting memories. It provides a wide variety of facilities including ample parking space with valet service, top-notch catering, exquisite décor, a well-furnished room with latest in-room amenities, as well as an elegant banquet space. 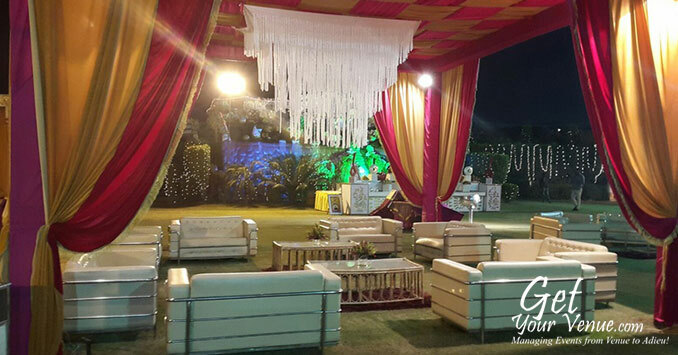 All in all, the Asha Farm offers impeccable service and complete privacy for your big day, thus making it one of the best wedding venues in North Delhi. If stylish wedding events in a lush green setting are your cup of tea, then choose The Asha Farm. 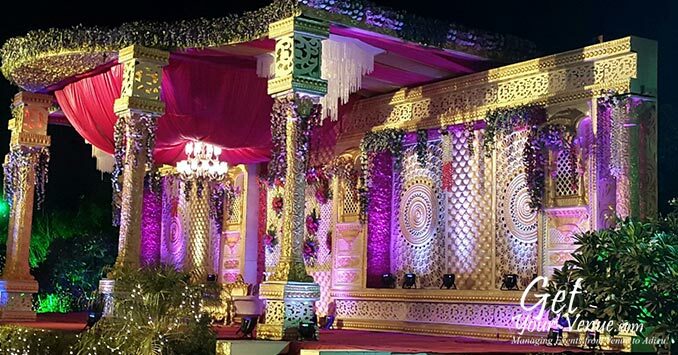 One of the best venues for weddings in North Delhi, it provides just the right kind of ambiance for any ceremony you might be planning to host. 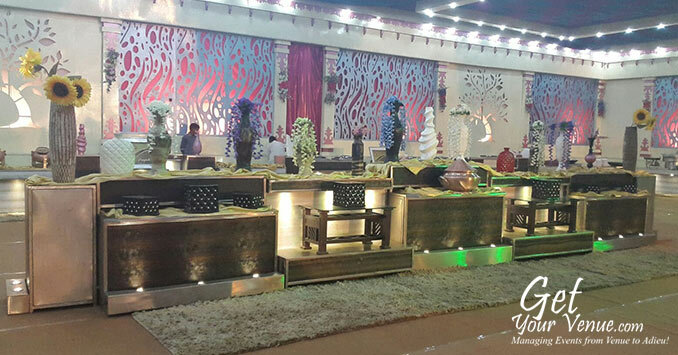 The place is perfect for an array of events including engagement functions, Mehendi ceremonies, Sangeet nights, cocktail soirées and wedding receptions. It has the following banquet area. 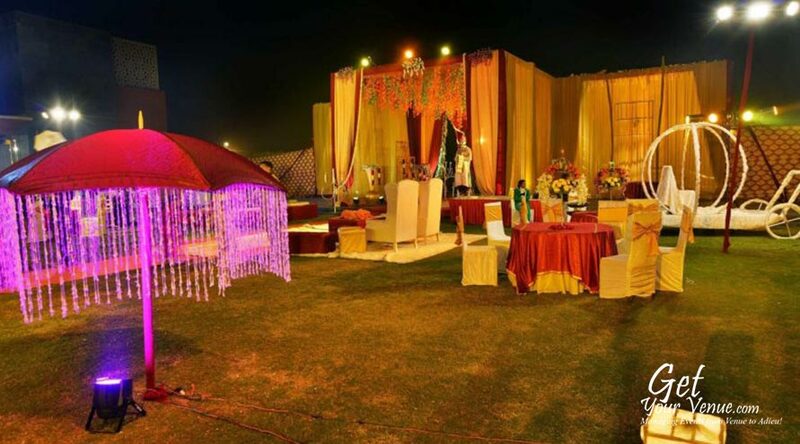 Lawn – A 29,000 sq ft large garden with a seating capacity for 300 to 800 guests, it’s the ideal place to host larger-than-life extravagant parties. Surrounded by viridescent vegetation, offering 360° breathtaking views, it creates an elegant, romantic ambiance where to-be-wed couples can happily tie the knot. No wonder it’s one of the top wedding lawns in North Delhi. To book the Asha Farm, please dial 8800093444.